Tonight was dinner with friends at Botanas, a Mexican restaurant on the south side. 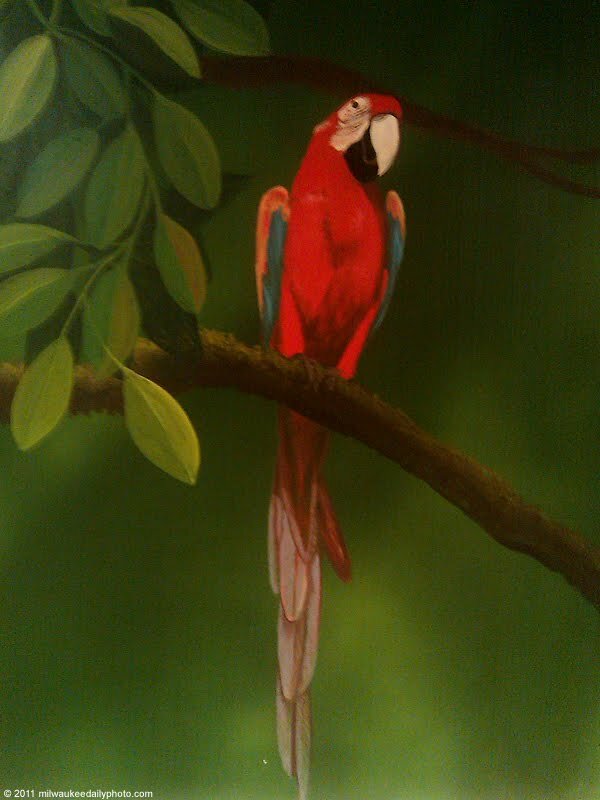 The walls of the restaurant are filled with colorful murals of wildlife, like this parrot. The food was good, and we'll be back, perhaps when it's warmer and the patio space is open.